The best way to get to know a community is by scheduling a tour. See the facilities, meet the staff and residents, and get a feel first hand what it's like to live at Rosewood Retirement & Assisted Living Assisted Living. Rosewood offers spacious apartment designs from which to choose, and for your added safety and peace of mind. Apartments are equipped with an emergency call system in each bedroom and bath, which is monitored 24 hours a day, plus sprinkler systems, smoke detectors, as well as lighted covered walkways and security gates which are locked each evening. Our landscaped courtyard gives the residents freedom to stroll and give others a private area to visit with family and friends. Enjoy the comfort and grace of your own home, without the burdens of one. No retirement lifestyle offers more. 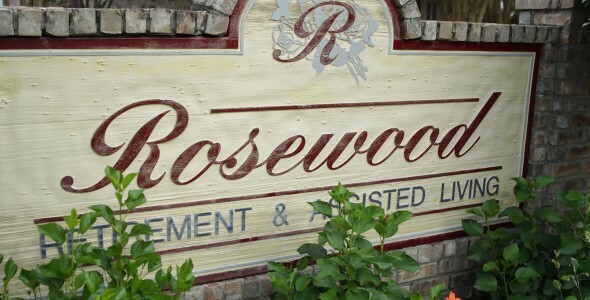 Assisted living accommodations at Rosewood offer a positive alternative to nursing homes. Our program provides much more than the basics. We strive to promote a quality of lifestyle with maximum independence while preserving the dignity and individuality of each resident.